At the time of having to choose a car to move around, we came upon the dilemma of choosing the right one. There are so many cars today, so many brands, styles, sizes, colors, and we like the quantity and the range of options. Yes, we want the best, the most beautiful and most elegant, but it is very important to choose the one that is suitable for the use or purpose that it is needed for. First you should think about whether you are using the car to travel long distances by road or just going to be moving around in the city. More than the physical aspect and the model of the car, which is certainly interesting to choose one to your liking, you have to lean toward a suitable vehicle for the city, roads in mountainous areas as your destination, and your intended use for it. If you intend to use the car to travel in the city, you should consider a specific type, considering the conditions of space in the streets and avenues and in the parking lots. A city car where possible, should be small on the outside but spacious and versatile on the inside. A vehicle for the city, must possess perfect visibility with good acceleration and braking. Furthermore, it is easy to operate. You need to check the positive statistics and safety guarantees, because driving in the city is almost as complex as moving a an assembled truck. Economical: in this category you can find in our fleet the vehicles BYD F0 or the Toyota Yaris, with a 1,500 cc economic engine, capacity of up to 5 passengers and an ideal size for ease of parking. Their fuel consumption is very low. The compact vehicles: these are cars that are used both in the city, and on the road and not suffer in long trips. They have 3 or 5 doors and a trunk large enough that increases in space when the seats are folded down. 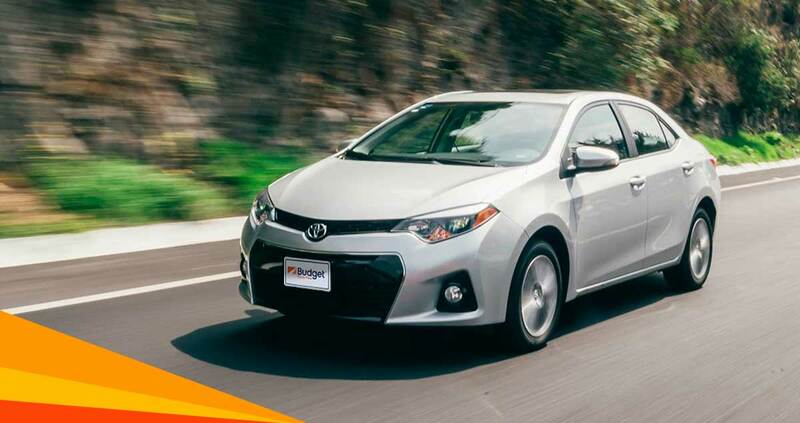 In our fleet we have vehicles like the Toyota Corolla 5-passenger, manual or automatic, modern and spacious. The Family car is a suitable vehicle for the city and as the name implies, it is designed for families, but can be easily used in areas of gravel or stone paths, because they are also all-wheel drive. They are comfortable and their best attribute is their space, such as the Daihatsu Bego or Toyota RAV4, or even the Toyota Prado. You can also find these vehicles in our fleet. Which car should I choose for the city? If you’re traveling as a couple and your trip will be in San Jose and the surrounding area, perhaps one of our compact and economical vehicles is the best choice. However, if you are coming as a family of 3 persons or more and must travel to destinations like beaches or Guanacaste (North Pacific) or Puerto Jimenez (South Pacific), for convenience and safety, the choice is definitely a family vehicle or Premium. So have a good trip and enjoy your city car!